We are offering Chemical Waterproofing Service to our clients. - Offering superior resistance to growth of fungus/micro organisms. - Provide for non-toxic usage. - Providing superior bonding to concrete and masonry. 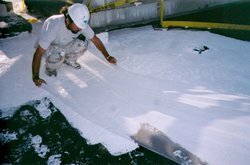 “Dryshield Solutions is a renowned company that is betrothed in manufacturing optimum quality Crack Filling Sealant, Waterproofing Sealant, Crack Sealer, etc. We have established ourselves as a renowned supplier, distributor, wholesaler, trader, retailer of Waterproofing Chemical Services, used in water proofing process. We offer service to our customers with Damp Proof Course Chemical. - Brass nozzles will be fitted in these holes with suitable sealant at the joints. 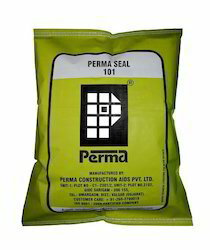 We are dealing in Water Proofing Chemical and also provide application service at your site. Best quality of Chemical Based Waterproofing Service is provided by us to customers as per their requirements. Our company is a master in providing Chemical Waterproofing Service.